Galvanize Test Prep is organizing an International Olympiad for aspiring GRE test takers. It is an online Olympiad, which means anyone can attend from the comfort of the home. The Olympiad aims to help those who are in 2nd year of university or above and planning to pursue Masters abroad. Participants will be able to compare their standing with fellow test takers, assess their GRE readiness and prepare adequately before the real test. There are also numerous benefits offered by the organizer for participants. The Olympiad will have world-class sections, 20 questions and participants will get 30 minutes to complete. About the organizer: Galvanize Test Prep, is a brand focusing on delivering the learning solutions for Standardized tests and Competitive exams, as well as Global Admissions Counselling. They aim to simplify education for everyone through our software, and the community. More than 100,000 students from 1500 institutions across the globe are participating in this Online GRE Olympiad. Score high in the Olympiad and get scholarships on any of the Galvanize Test Prep’s GRE prep courses, crafted by world-class experts. Participate in this Olympiad and avail Free Profile Evaluation & special access to Premium GRE, Admissions & FAQ Videos. Identify your strengths and weaknesses. Improve on your weaker areas to score high on the GRE with the help of personalized feedback after the test. Identify your GRE Readiness, assess your potential & know where you stand among your fellow study abroad aspirants. Students abroad aspirants who want to know where they stand amongst other aspirants. 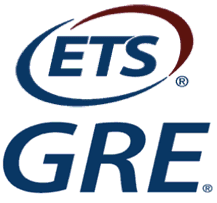 GRE Aspirants who need scholarships on Personalised GRE Courses crafted by GRE Experts. Galvanize enrolled students are NOT eligible to participate in this Olympiad. Please visit the official website and reserve your spot. After reserving, visit their website again on 28th October to attend the Olympiad.